When I was growing up Spider-Man was my favorite superhero. I think it is because he was close to my age and the fact he grew up in New York. 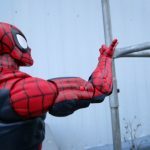 Even to this day, I feel Spidey is still a cool character. 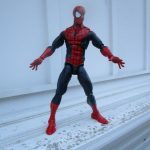 Now if you combine my love of Spider-Man with my love for the Marvel Legends 12 inch line and you get a cool toy owned by a very happy man-child. The 12 inch Marvel Legends line is quite impressive. 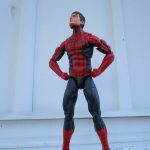 We have reviewed several of the figures in this series (Iron Man, Black Panther and the Hulk to name a few) and each time I think they are getting better. 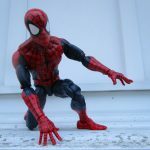 This time around we are reviewing the Marvel Legends Spider-Man. 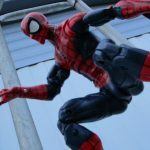 I am sure some of you could piece together what this review is about from the article title, the photo or maybe it was the repetitive mention of Spider-Man and Marvel Legends in the first few lines. If you are one of the few to figure it out you are to be commended but regardless of your mutant mind reading powers, you need to keep reading. 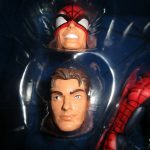 Seriously, I am a very big fan of the Marvel Legends 12 inch figures. There aren’t many affordable well-made figures out there so this line is a blessing. Hasbro has another line of 12 inch figures they call their Titan Line but in my opinion these are crap. They have limited movement and there is just no way to set them up in a cool pose. The first time I saw the Titan Line was at Toy Fair and I told the Hasbro rep that they reminded me of a chunk of 2×4 with arms attached. Needless to say he didn’t like that opinion. 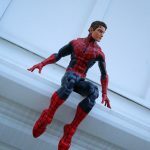 Don’t get me wrong, the Titan Line sells great and is perfect for little kids but speaking for the collectors we need more and with the Marvel Legends our voices were heard. 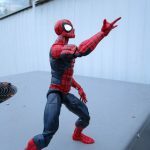 The Marvel Legends 12 inch figures line has some great poseability. 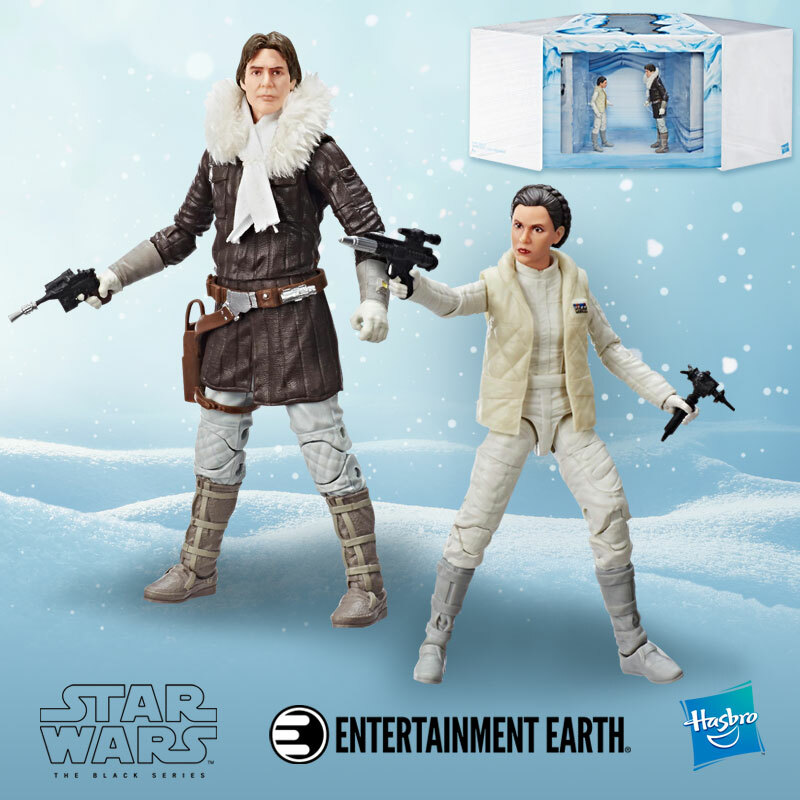 Granted, you can’t compare these figures to Hot Toys or Sideshow figures but you can compare the prices. Those high priced collectibles may be super poseable but they are meant to sit on shelf being displayed not taken out into the mud to recreate battle scenes. 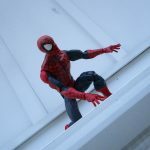 Since the Hasbro Marvel Legends retail for around $49.99 you shouldn’t feel you need to keep your figure on a shelf. Ok. I think I am done with my rant. So what were we talking about? 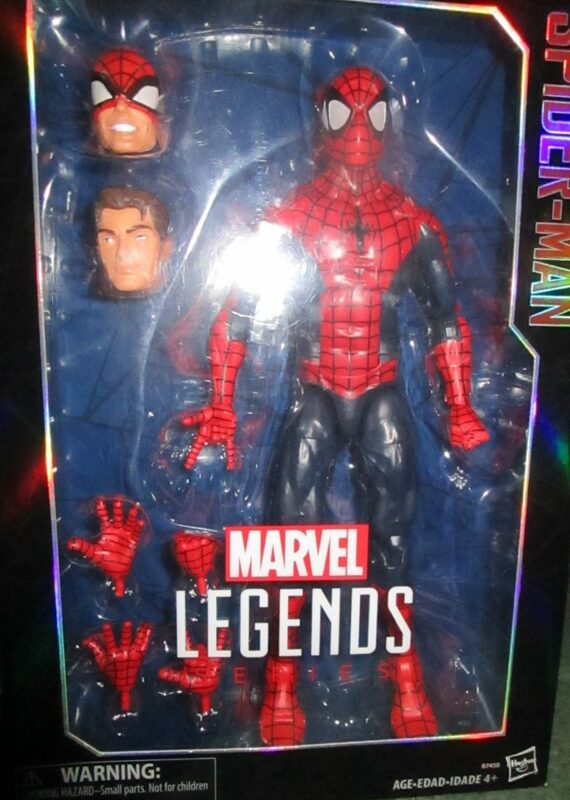 Oh yes, the Spider-Man Marvel Legends figure. First off it isn’t exactly 12 inches tall; he comes in at approximately 11 inches and some change. I am not complaining, he is supposed to be a teenager so he has room to grow. As you can see it is a spectacular amount of poseable points. You can see from the photos that there some great poses for your figure. 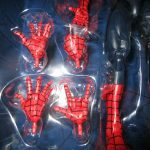 Aside from the points of articulation the Marvel Legends Spider-Man figure also comes with 2 extra sets of hands (fists and web activation hand) and 2 extra heads (mouth uncovered and completely unmasked). I like the additional hands for posing because depending on which hand(s) you chose for your pose you can convey an emotion for the pose. When I saw the extra hands in the package I automatically thought that their addition was perfect for the figure. The extra heads took a bit more thought before I was on board with the need. The extra heads, much like the hands, can help to set a mood for either your display or your photographs. 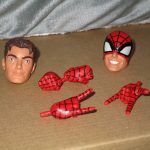 Worst case scenario you can use the head sculpt with Spidey’s lips uncovered to re-create the alley scene from a previous incarnation of the web slinger. You would just need to find your own Mary Jane. 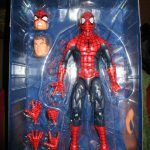 Just like the other figures from this line, we were impressed with the Marvel Legends Spider-Man figure. 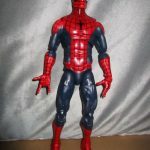 This figure should be on your shopping list for the Spider-Man lover in your life. 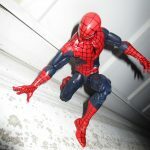 The Marvel Legends Spider-Man is for children ages 4+ (for small parts) and retails for $49.99. 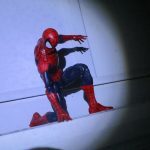 You can find Spider-Man as well as other figures in the line wherever quality toys are sold. 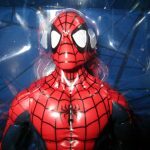 Spidey is also available from web based retailers as well such as Entertainment Earth. 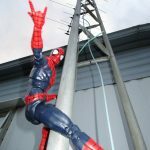 This entry was posted in Equipment and tagged 1/6th Scale, 12 inch Marvel Legends, Entertainment Earth, Hasbro, Marvel Legends, Spider-man. Bookmark the permalink.